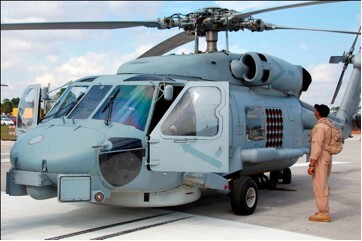 The newest addition to Pacific Aviation Museum’s collection is a Navy SH-60B Seahawk helicopter. The Sikorsky Seahawk is a navalized version of the Army’s UH-60 Blackhawk. The Army began using the Blackhawk in 1979. 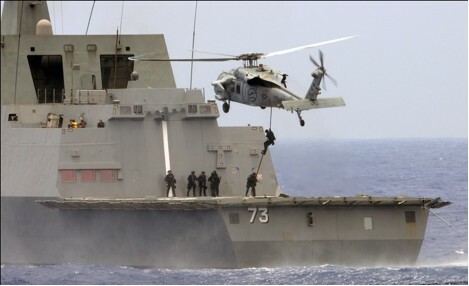 The Navy quickly saw the Blackhawk as a good foundation for replacing its SH-2 Sea Sprite, which was protecting individual ships such as frigates, destroyers, and cruisers, which often have to operate outside of the fleet’s protection umbrella. In effect, the Sea Sprite was a self-contained antisubmarine warfare (ASW) system. The 1960s-vintage Sea Sprite was too small and underpowered to support the Navy’s new LAMPS II avionics system. The Blackhawk was the ideal size for the new system, and most of its development cost had already occurred. The Navy called its Sea Sprite replacement the SH-60B, where the “S” stands for antisubmarine warfare. The Navy began using the Seahawk in 1984. Although the AH-6B Seahawk is primarily an antisubmarine warfare aircraft, it has secondary capabilities for rescue and anti-surface warfare. Like all naval versions, it has a personnel winch for rescue purposes. In addition, all Blackhawk derivatives are highly modular, and the Seahawk’s torpedoes can be replaced by hellfire guided missiles, and it can carry machine guns or even a 30 mm cannon (although the cannon is primarily for clearing minefields). An ASW helicopter needs to find enemy submarines lurking near the fleet. One way to do this is to deploy a long wire behind the helicopter. This magnetic anomaly detector, or MAD, can detect the presence of submarines at considerable depth. 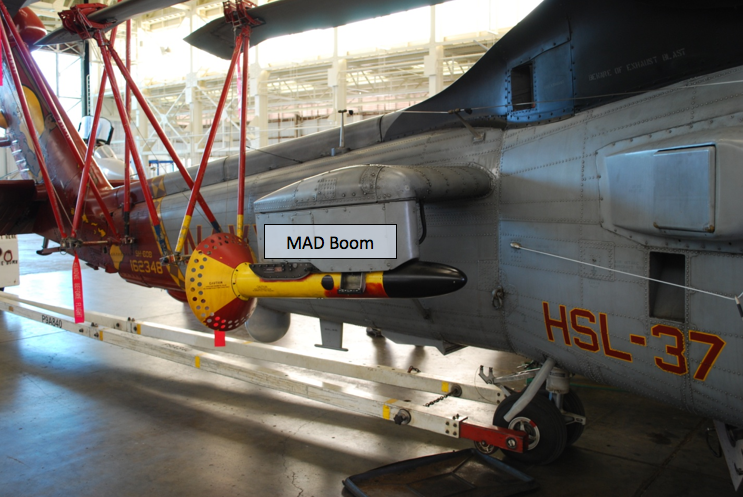 The SH-60B has its MAD boom on the right rear of the aircraft. The SH-60B also has sonobuoys that it can drop in the water to listen for submarine and report its findings to the aircraft. Instead of having a left-side door, the SH-60 has a large window for the operator and 25 sonobuoy tubes. The aircraft can drop sonobuoys over a considerable area to provide a ring of protection around the fleet. It also has modular sensors in its nose that can be adapted to particular missions. What if the aircraft finds an enemy submarine? The SH-60B can carry one Mk 46, Mk 50, or Mk 54 torpedo on each side. These torpedoes actively seek underwater targets after they are dropped. 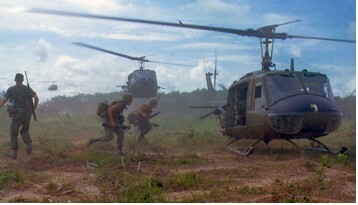 The Blackhawk/Seahawk family of helicopters (and the Air Force’s PAVE Hawk and the Coast Guard’s Jay Hawk) grew out of experiences with the Vietnam era UH-1 Huey. Although the Huey had done an excellent job, its casualty rates were enormous. Bullets could easily damage critical systems, and if the helicopter crashed, the landing was likely to kill everyone in the aircraft. In terms of performance, the Huey had a very limited ability to carry passengers, internal cargo, and slung loads. This was particularly true in hot and high areas, such as the Vietnam highlands. In the Blackhawk and its derivitives, critical systems are more “ballistic-resistant,” and the wheels fold in ways that can absorb a great deal of crash impact. In addition, seats are strong so that they do not collapse in a hard landing. One requirement for the original Blackhawk design was that the aircraft has to be able to fit into a C-130 cargo hold. This resulted in an aircraft that is not very tall yet that is rather long. While the Huey cabin was a box, the UH-60 cabin is long and low. Navy versions have kept the same silhouette. Source: Wikipedia, which has a good summary from other good sources. However, the UH-1D passenger capacity was reduced to reflect experience in Vietnam. This entry was posted on Friday, December 3rd, 2010 at 1:32 am and is filed under Uncategorized. You can follow any responses to this entry through the RSS 2.0 feed. You can leave a response, or trackback from your own site.